The System/360 Model 22 was a general purpose computer that combined intermediate-scale data processing capability with small-system economy. It provided an economical way for users to meet their growing data processing requirements quickly. First customer shipments were scheduled four months following the April 1971 introduction. 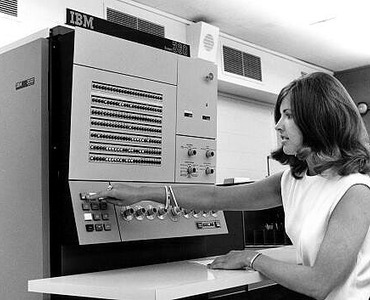 The Model 22 ran under IBM's Disk Operating System and provided the opportunity for using the high-level language capabilities of COBOL, FORTRAN and RPG II. A multiplexer channel and selector channel allowed the attachment of medium-speed magnetic tape and disk storage drives, as well as other peripheral equipment such as typewriter-like terminals and display devices. The Model 22 was available in two main-storage sizes: 24,576 bytes and 32,768 bytes. One byte could be placed into or retrieved from main storage in 1.5 microseconds. The basic cycle time of the central processing unit was 0.75 microseconds. The monthly rental for a typical Model 22 with 24,576 bytes of main storage was about $5,600, with a purchase price of about $246,000.